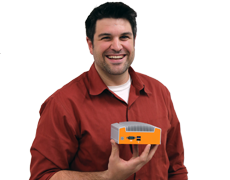 Durable, compact desktop computer with room for expansion cards or additional I/O. Powered by Intel's quad core J1900 Celeron processor, the MC600-10 (part of the MC600 Series) consumes less than 20 watts of power without sacrificing processing power. Unlike other energy-efficient PCs that struggle with HD graphics and processor-intensive applications, this compact system can handle everything from simple, single function embedded computing tasks to complex desktop and HD media reproduction.  The MC600-10 is also available with optional 4G LTE connectivity, enabling remote network access or failover protection. Designed with versatility in mind, the MC600 is enclosed in an expandable, scratch-resistant, all-metal enclosure that's tough enough for commercial applications but sleek enough for office desktop use. The cross-case ventilation is optimized for low noise and reliable, 24/7 operation. 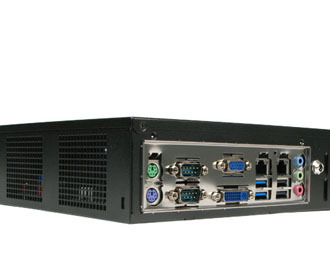 With two expansion slots to accommodate network adapters, video cards, or additional I/O, the MC600-10 enables out-of-the-box customization to adapt to any connectivity need. The system is also designed with eight mounting points for hard drives, making it ideal for storage intensive applications without the need to expand its small overall footprint. Packing a rich feature set into a compact package, the MC600-10 is equipped with 6 USB ports (including 2 USB 3.0 ports), dual Gb LAN, and two RS-232 COM ports. 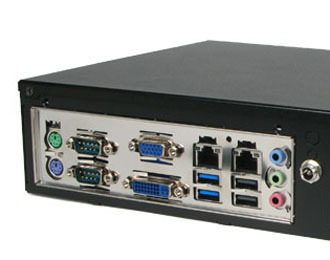 It can also power dual independent displays via VGA and DVI-I ports, and the system also includes two PS/2 ports for legacy KVMs. 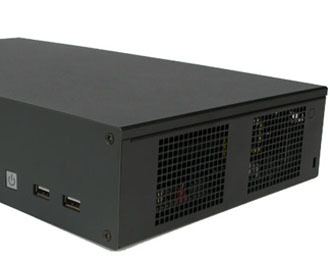 A full-height PCIe MIni Card slot can be utilized for expansion as well as Wi-Fi and Bluetooth connectivity. Onboard pin header connectors for USB and serial ports can be utilized to enable additional I/O, and the included PCIe x1 expansion can be utilized for network adapters, video cards, or proprietary expansion cards.